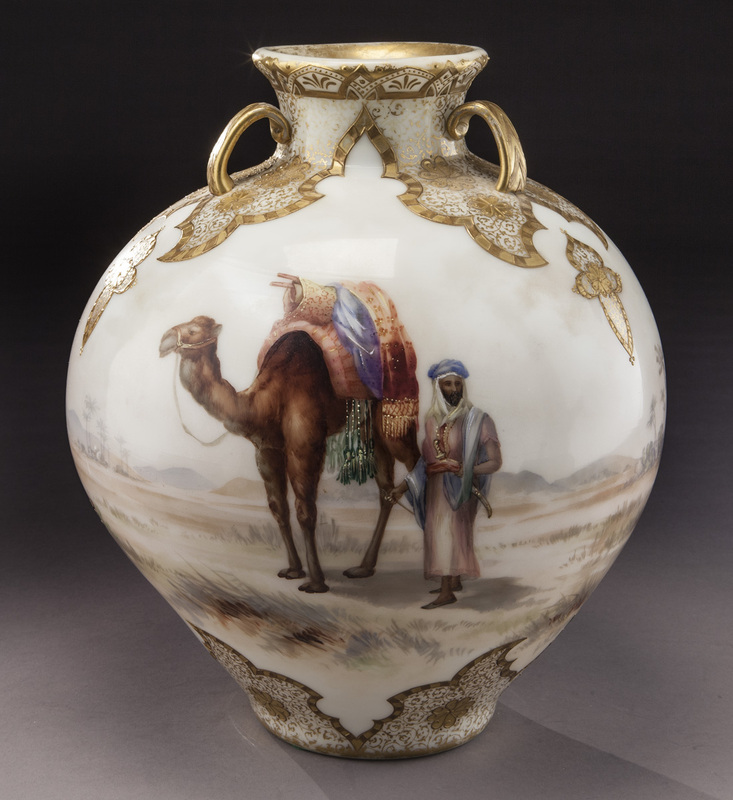 Dallas Auction Gallery's upcoming sale features over 470 lots of fine art glass from one of the country's best collections, as well as ceramics, furniture and décor. On March 27th, Dallas Auction Gallery (DAG) will hold the second of at least three auctions featuring the massive art glass collection of the late John W. Lolley of Monroe, La. 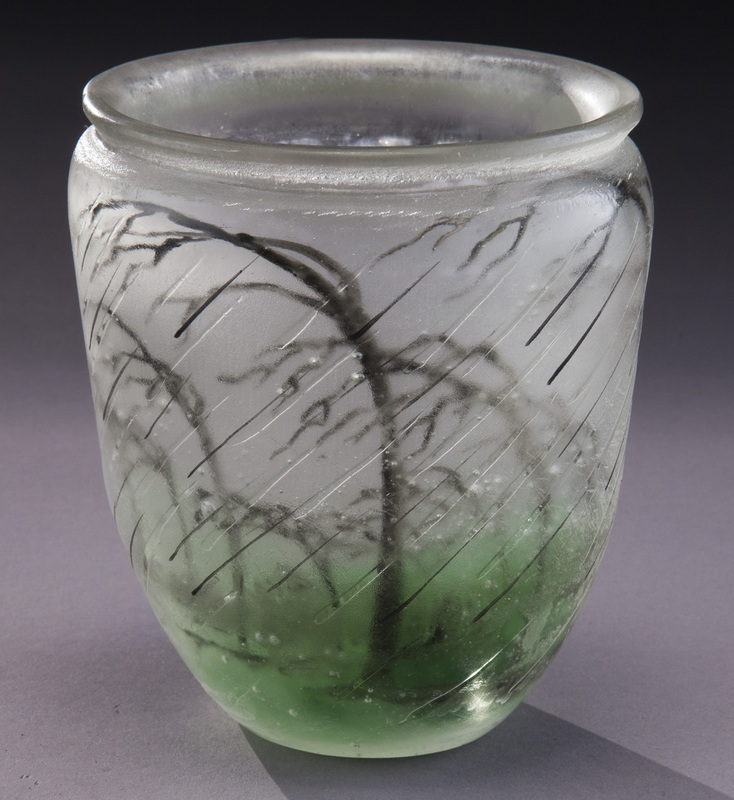 John was a true glass scholar and over his more than forty years of collecting assembled a diverse collection which covered everything from early Roman glass to modern Scandinavian art glass. In 2008, he was honored by Art and Antiques Magazine as one of the top 100 collectors in America. However, his favorite was glass by the late 19th century American maker, Mt. Washington. 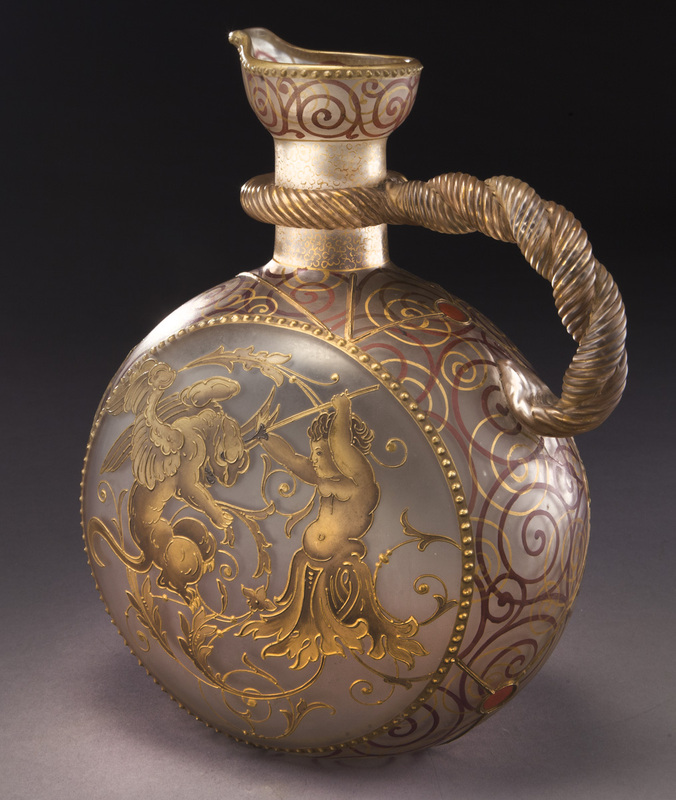 In the first auction there were approximately 10 Royal Flemish items, highlighted by a rare rope twist handle ewer decorated with a medallion of St. George slaying the dragon, which can be found on page 194 of Betty Sisk’s book “Mt. Washington Art Glass" and sold for $4,375. John found Mt. Washington glass to be of great importance and, over the years, had many items professionally repaired. 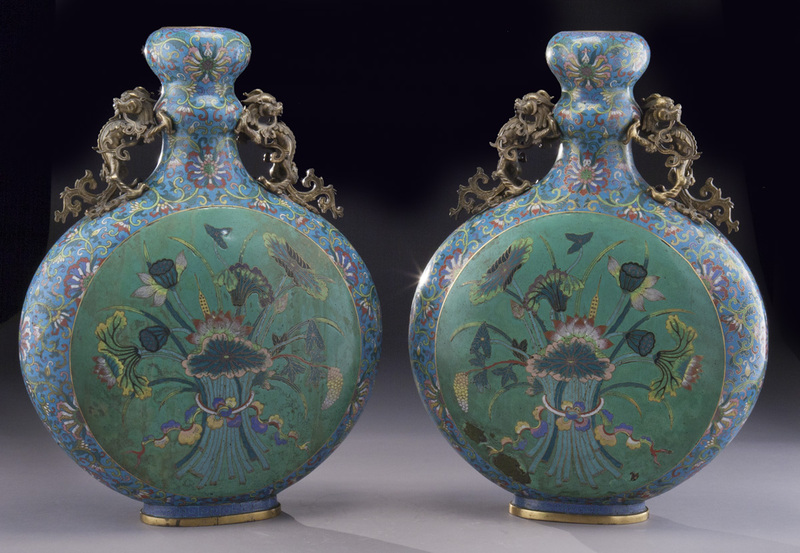 Burmese was also well represented with an Oliver Goldsmith verse water pitcher selling for $2,250 and a cylindrical Flying Cane vase at $3,125. The first auction presented over sixty pieces of all types of Mt. 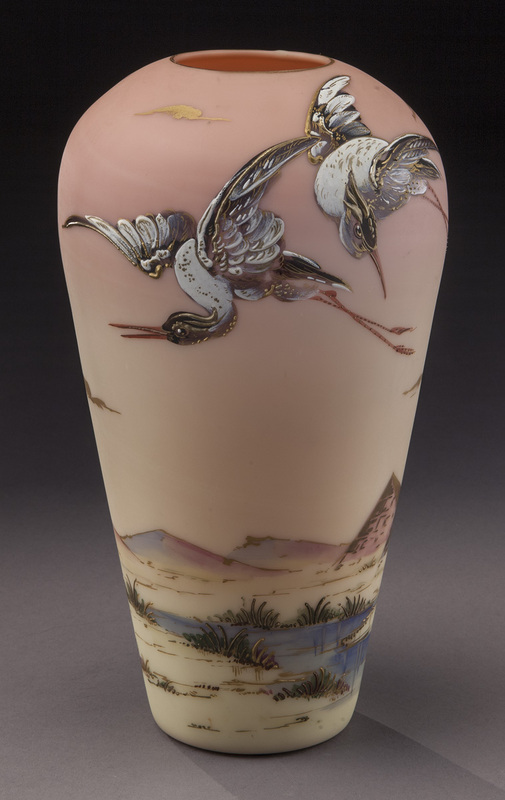 Washington glass and the second auction will have more than forty pieces available. 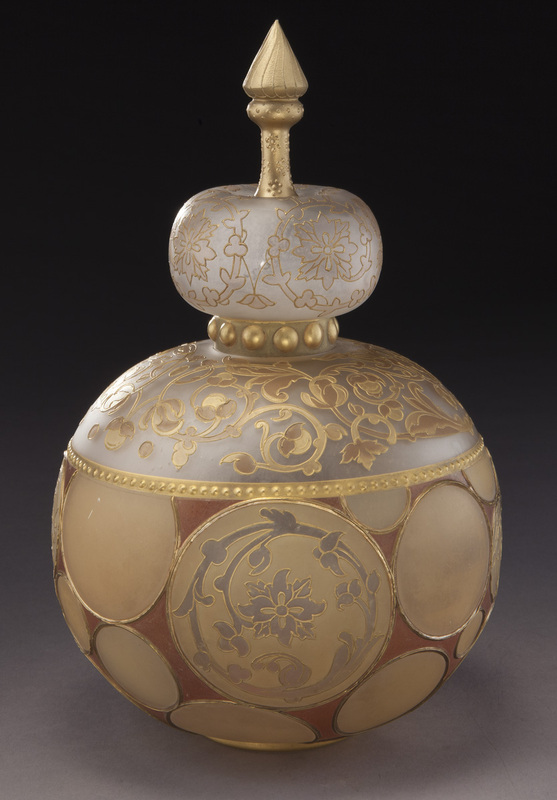 This includes Royal Flemish, Crown Milano, Colonial Ware, Burmese, Napoli and Cameo examples from Mt. Washington. However, John’s passion for glass grew over the years and the second auction will also include large groups of French and English cameo glass, Steuben, Loetz, Lalique, Orrefors, Majorelle, Harrach, Bohemian, Scandinavian and modern studio glass. One of the most unusual pieces is an extremely rare signed Daum Nancy paperweight style “Rain Scene” vase. The French glass company, founded in 1878, is renowned for its Art Nouveau pieces that employ the "pâte de verre" method where crushed glass is fused in a kiln, creating a complex translucent effect. 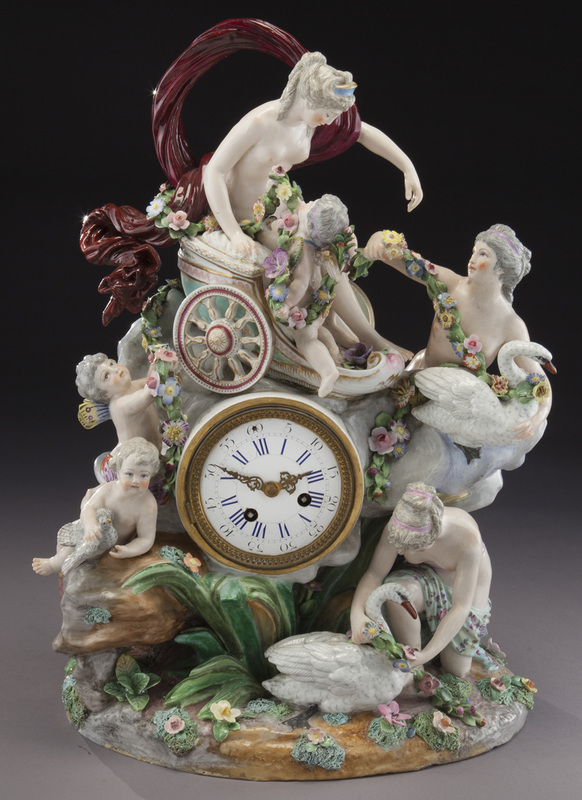 In addition to the John Lolley glass collection this second auction also includes a collection of over sixty pieces of Meissen porcelain, such as this ornate mantle clock. Meissen porcelain production began in Germany in 1708 and remains one of the leading porcelain manufacturers in the world. In addition to Meissen pieces, the auction boasts Palissy ware, Russian Icons, Vienna enamels, Royal Vienna porcelains, Tiffany & Co. 3pc. enameled clock set, French ormolu clocks under glass domes, sterling silver flatware and hollowware. 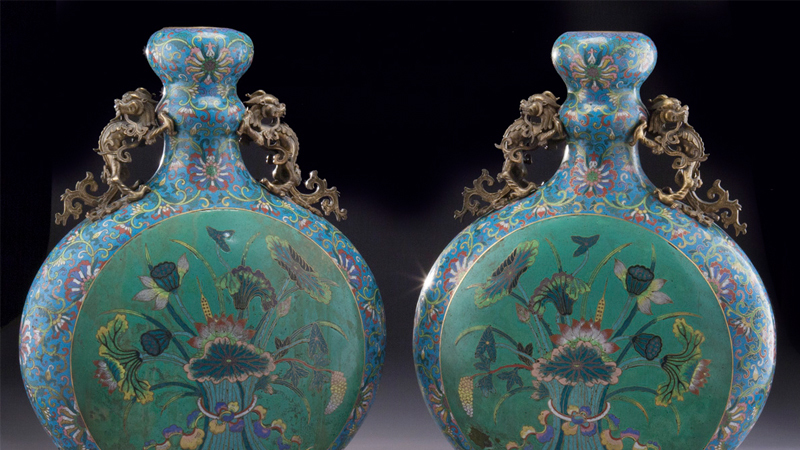 A nice selection of Chinese and Japanese porcelains, carved jade and screens will also be on offer, including these Chinese Qing flasks that date to the last Chinese dynasty, when Chinese export porcelain flourished. 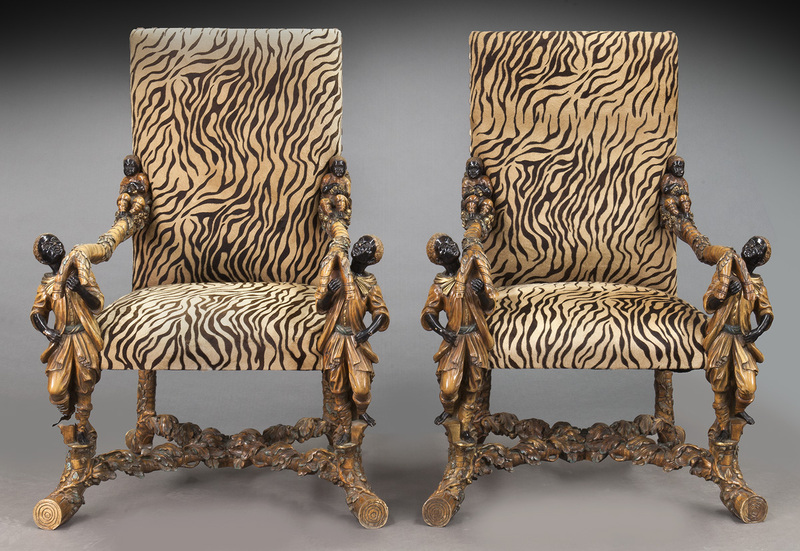 To round out this impressive sale are fine furniture and chandeliers, such as these Venetian armchairs.